News | Page 3 of 7 | Hancock Survey Associates Inc.
Hancock Associates, a leading local provider of land surveying, civil engineering and wetland science services, is proud to announce that Brian B. Donegan, P.L.S., has joined the firm as Senior Project Manager. 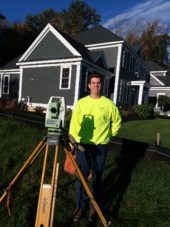 Brian is a registered Professional Land Surveyor in Massachusetts and holds a B.S. from Northeastern University. Prior to joining Hancock Associates, he was a Senior Project Manager and Survey Project Manager at leading civil engineering and land surveying firms in Massachusetts. Brian is based in the firm’s Marlborough office. Keith Downing has joined Hancock Associates’ Land Surveying Department. Keith is working as an instrument operator out of our Marlborough office. He has a bachelor’s degree in Geography and Environmental Studies from Framingham State University and continued his education with post-graduate classes in Wetland and Hydric Soils at the University of New Hampshire. 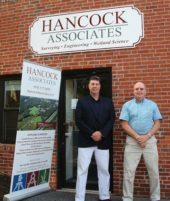 Hancock Associates, a leading local provider of land surveying, civil engineering and wetland science services recently hosted an open house to celebrate the relocation of their Newburyport branch. The new central downtown location at 1 Harris Street is more convenient for clients and the expanded space provides Hancock Associates workspaces to grow staff, resources and services. Katie Cruz, one of Hancock Associates’ Project Managers, recently appeared in front of Revere’s Site Plan Advisory Board to review plan changes at Waterfront Square and the Revere Journal was there. Read more about changes in the hotel footprint here. Hancock Associates, a leading local provider of land surveying, civil engineering and wetland science services, is celebrating 40 years in business. 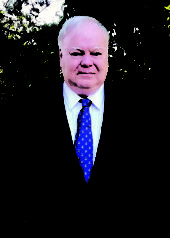 The firm was founded in 1978 by Frank Hancock, PLS, PE, to provide land surveying and civil engineering services to the North Shore and Essex County. Donald I. Desmond, PLS, who assisted Frank in creating the firm, became president in 1984. Wayne C. Jalbert, PLS, became president in 2016. Today, Hancock Associates has offices in seven locations, over 70 employees and serves Massachusetts, Southern New Hampshire, Connecticut and Rhode Island. Hancock also maintains an archive of historical survey records from 25 land surveying and civil engineering firms dating back to 1852. These records not only can assist Hancock Associates in performing surveying tasks quickly and cost-effectively, they can be an invaluable resource for other organizations and individuals.